Being able to see what something can be, instead of what it is, is so much fun. Let the imagination soar! 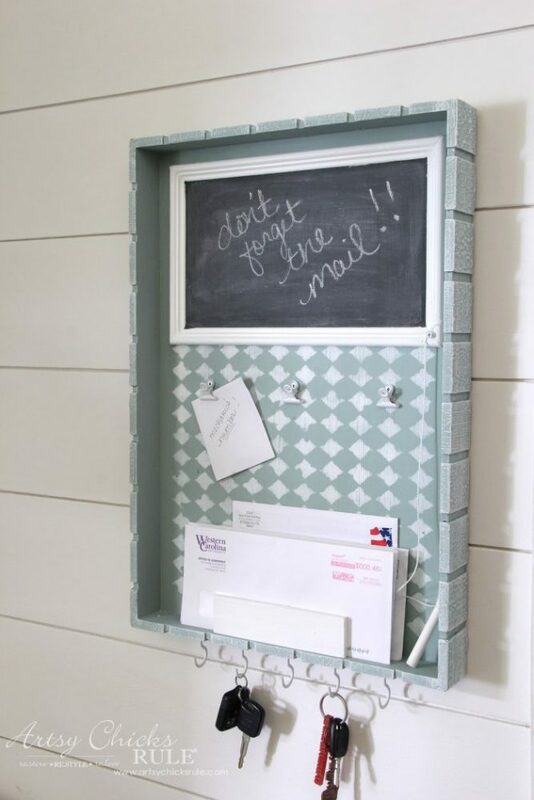 This repurposed tray turned message center is a perfect example of that. How fun is it to take something and turn it into something else entirely? It’s lots of fun! 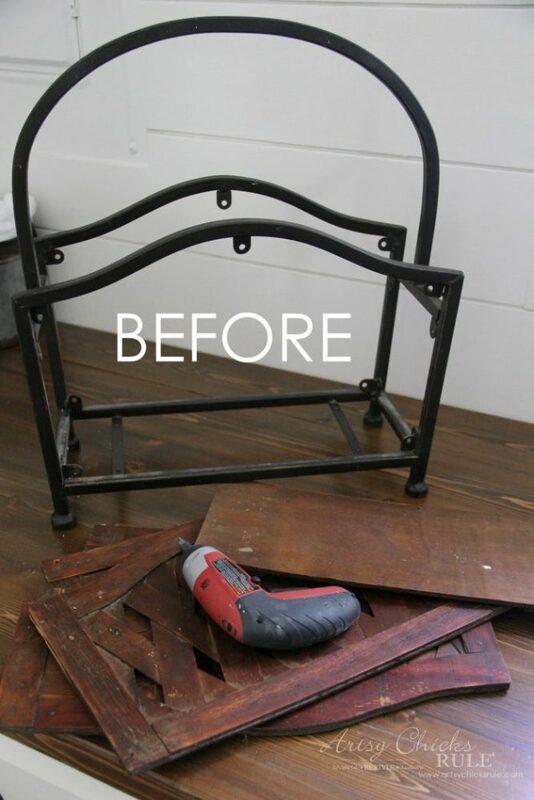 I love furniture makeovers but I think I love repurposing little thrifty treasures almost as much. 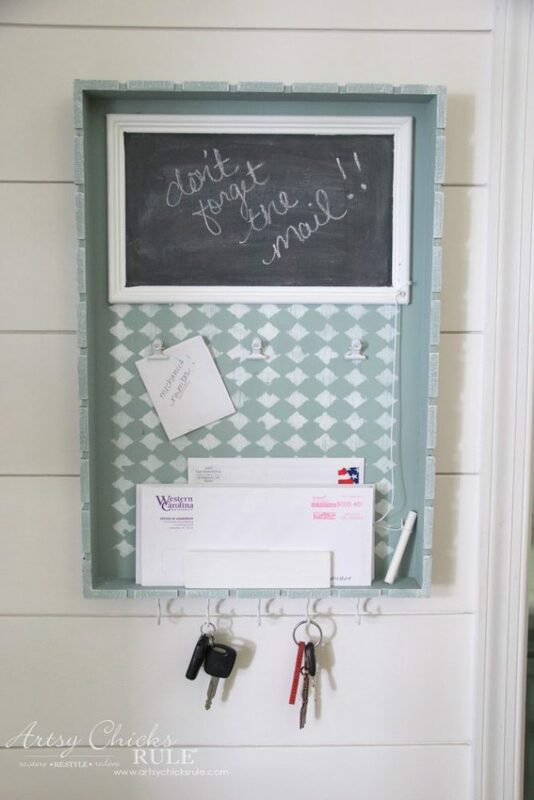 Just like the Repurposed Tray Turned Message Center I’m sharing below. I ended up having to take my electric sander to get it smooth. But the tray was just 3.25. Can’t beat that! But it came to me quickly, actually. I decided it would make a neat message center and then things just fell nicely into place. It doesn’t always go that way and I’m so glad when a project just rolls along smoothly. Aren’t you? Sure makes it fun and enjoyable! I’ll include any affiliate links in the text below for products I’ve used. 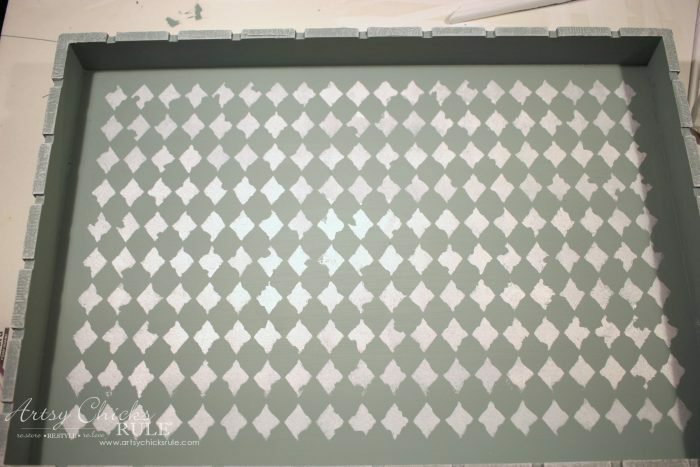 I started out by painting the repurposed tray with Annie Sloan Chalk Paint in the color, Duck Egg Blue. I then gave it a dry brush of white along the outside edges to bring out the detail on the sides. Dry brushing is just that. 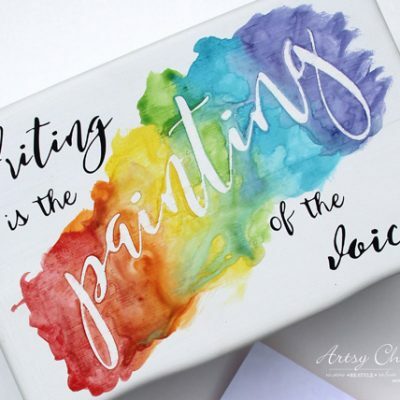 Taking a dry paint brush, (I like to use a chip brush for this) dipping just the edges in the paint and then wiping away most of the paint on a paper towel or paper plate. 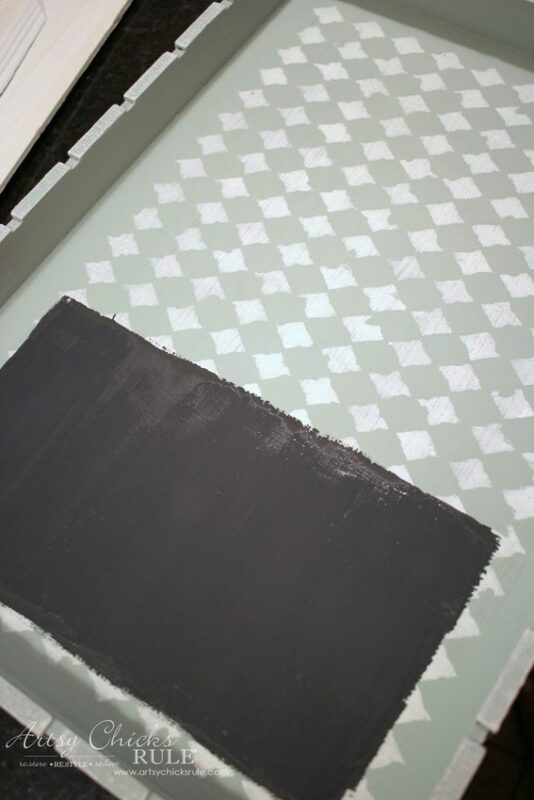 Then just lightly run the brush over your project where you want the dry brush effect. 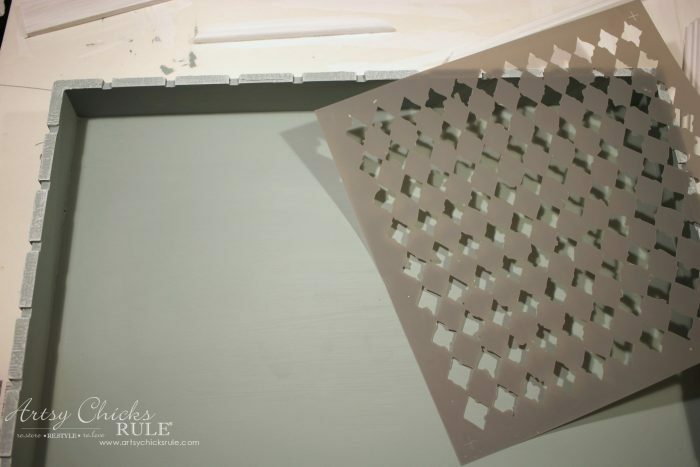 Once that was all dry, I used the stencil pictured above to create a design on the inside of the tray, also in white. 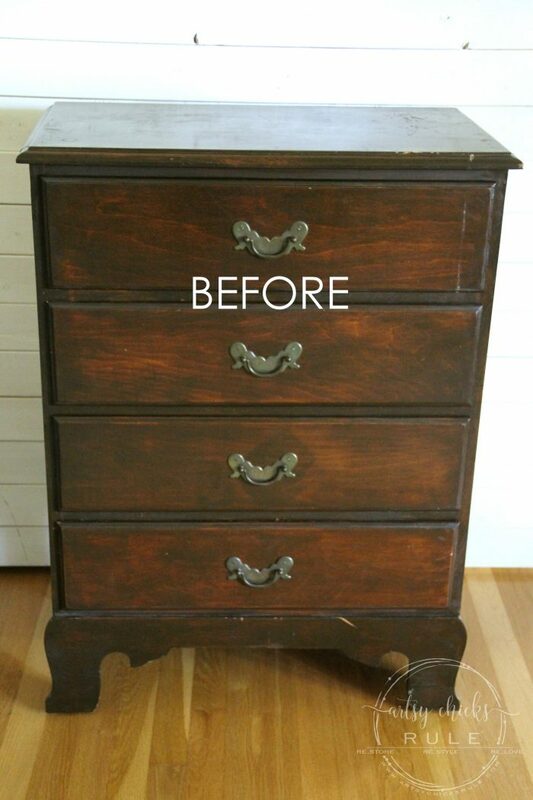 And since I use and re-use things, I even reused the trim I had applied to this little dresser I recently gave a new makeover to. I had to trim it a little to make a frame for the chalk board I had planned on the repurposed tray. I painted it white and laid it out where I wanted it to go. Then I marked the area so I could paint it with the chalk board paint. Yep! It makes a great chalkboard. I applied 3 thin coats, drying well in between. 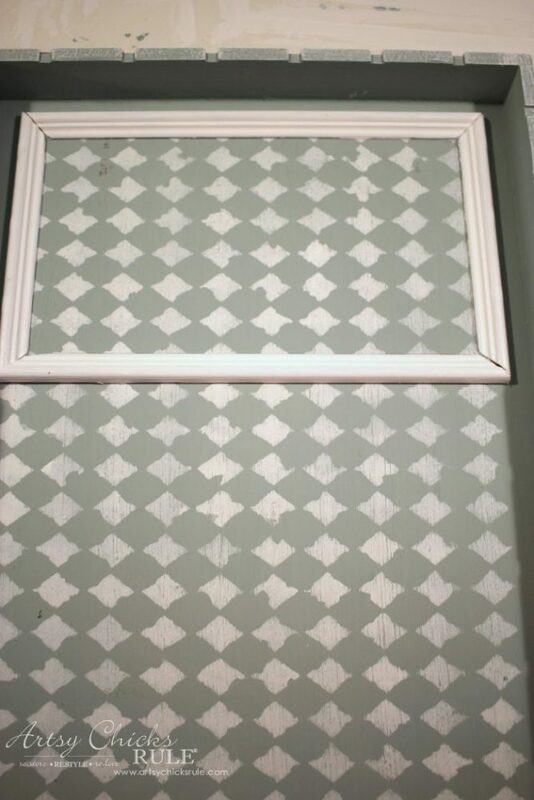 You can see how I turned this old print into a chalkboard and this old mirror into a chalkboard using the same paint. 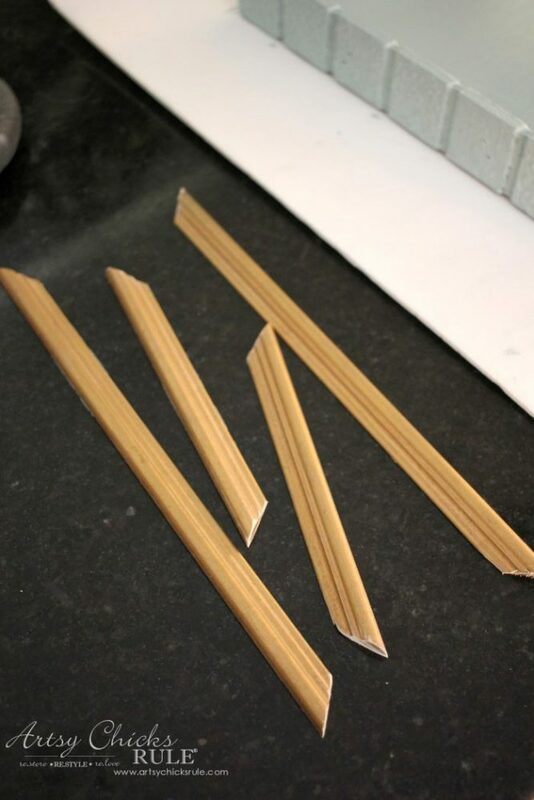 Once that was dry, I attached the frame pieces with E6000 glue. I also added these little clips for holding notes, papers and such. I sprayed them white to match and used E6000 for them too. You can screw them in but I didn’t have short enough screws. Plus, that E6000 isn’t going anywhere! It’s tough stuff. I hung a string from a screw and tied chalk to the end for note making. 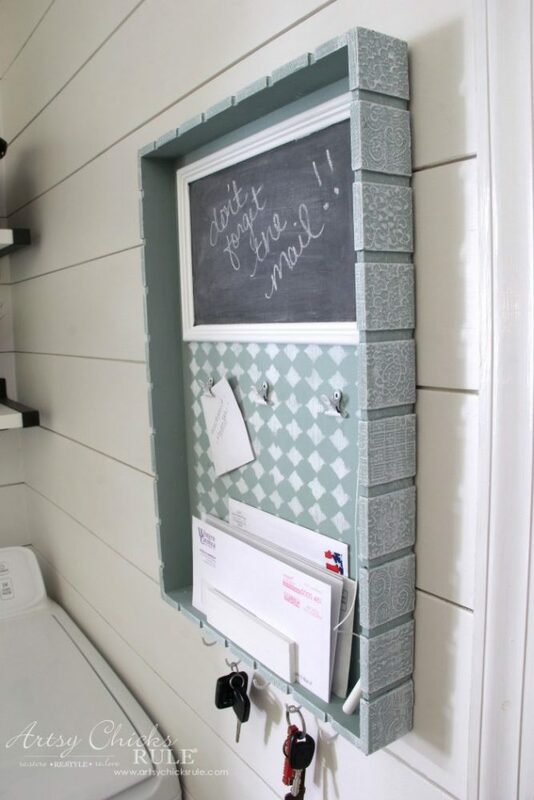 I used a scrap piece of wood, painted white, for holding letters and mail that needs to go out. It is also attached with E6000. 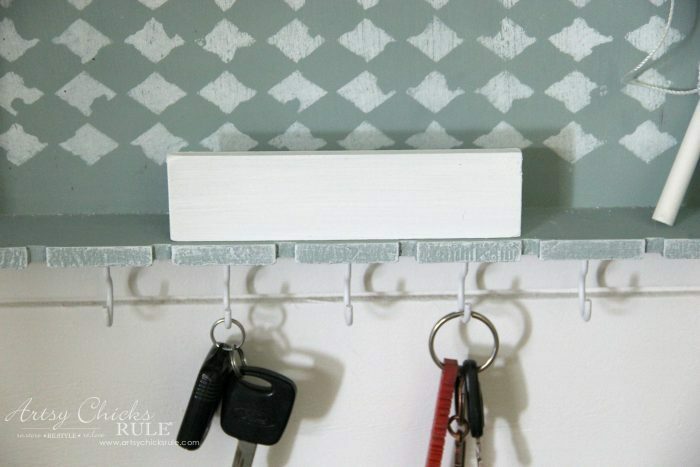 The hooks are screwed into the bottom for keys and things. 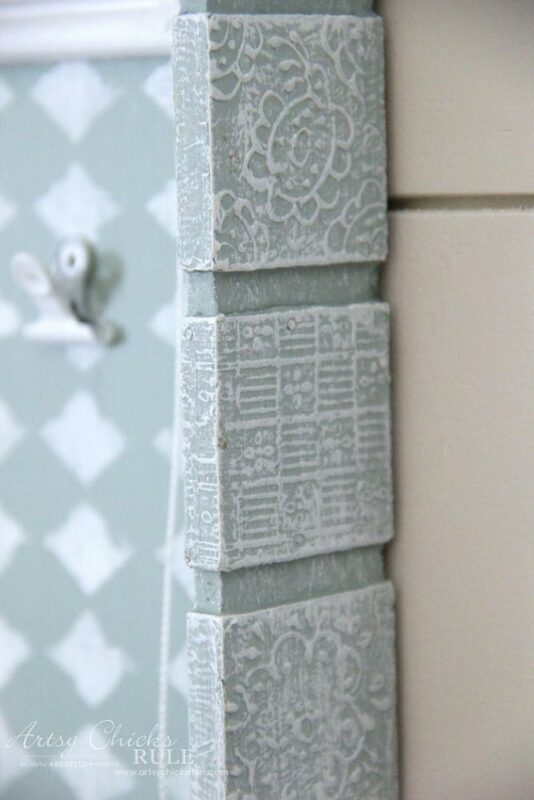 Here is a close up of the white paint dry brushing on the sides…. I love how it brought out all the pretty detail. So that is it! Pretty simple little project. 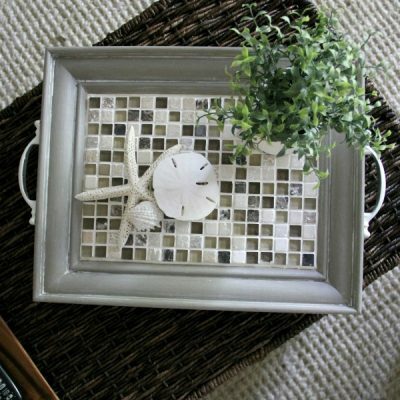 Perfect for hanging by your entrance/exit door. 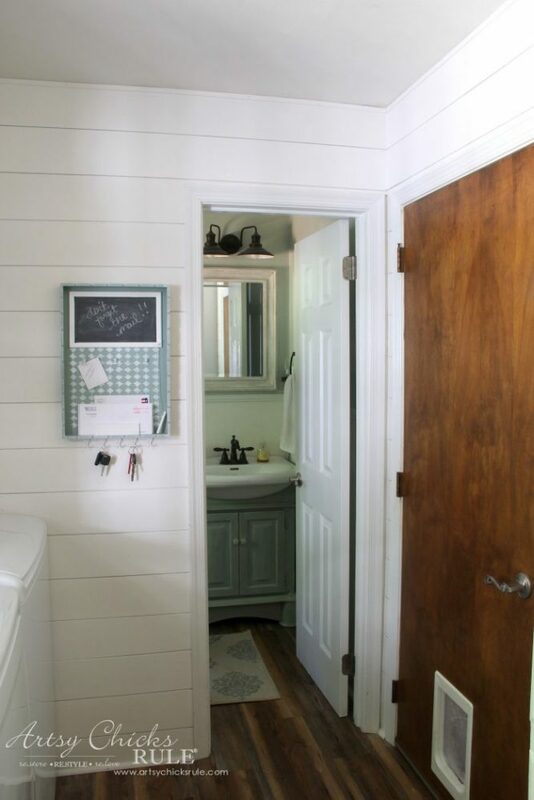 Like the garage or front door…. 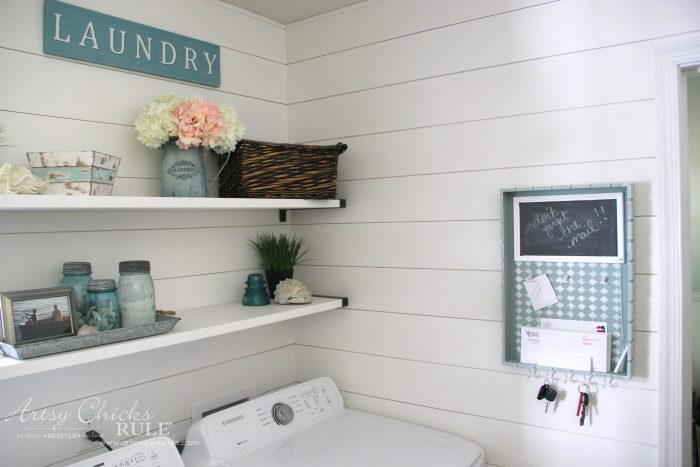 If you missed that makeover, you can see it here, Coastal Farmhouse Laundry Makeover Reveal. 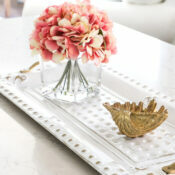 I bet no one would ever guess that was an old repurposed tray. What do you think? So as you can see, I sometimes have a vision for things immediately. But sometimes, it takes a little time. I usually pick something up at the thrift store knowing it can be something great. So think outside of the box. Try to look past what you see, and imagine what it can be instead. 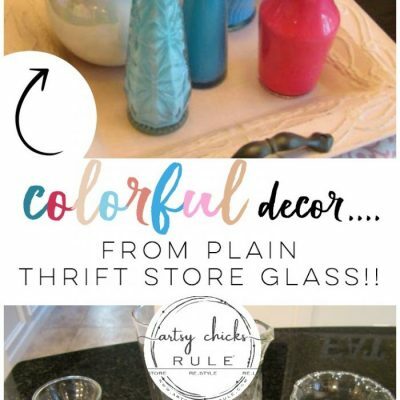 Great way to decorate your home on a budget. 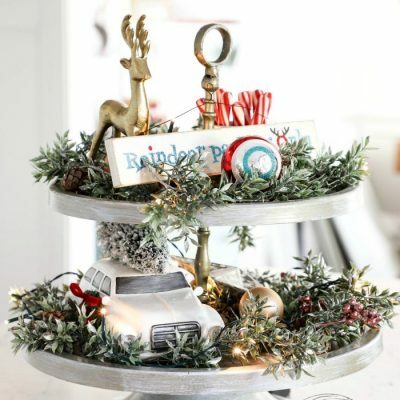 Or even create a unique gift for someone. 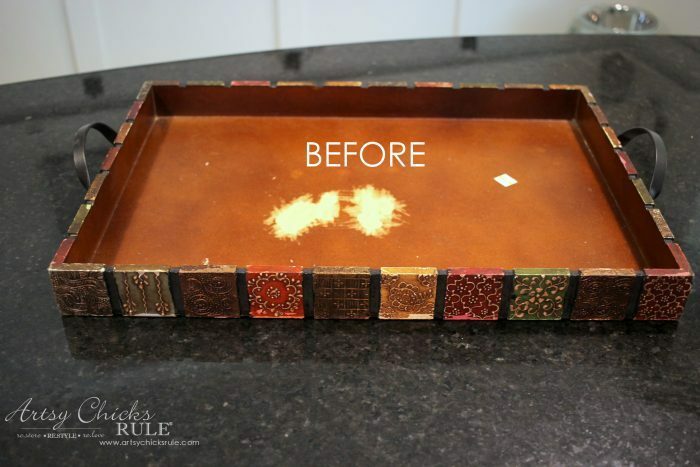 PIN this Repurposed Tray to save it for later! 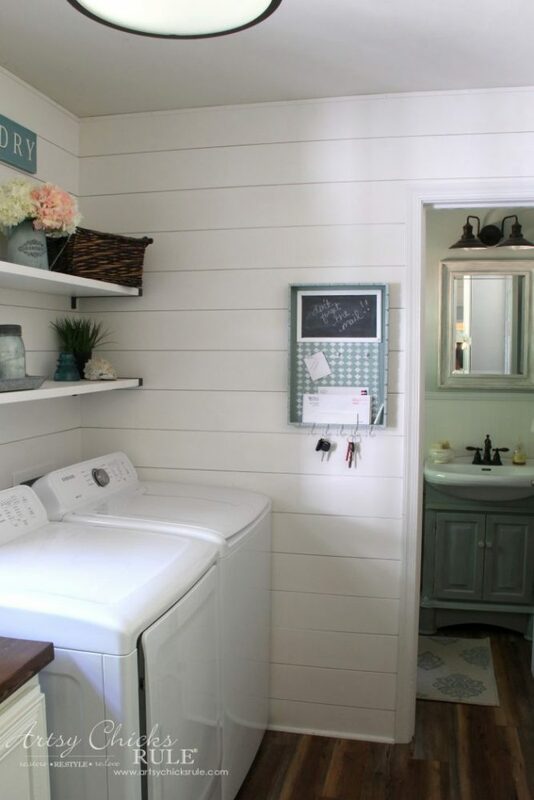 Want to see even more repurposed treasures? Click here to see a bunch more. 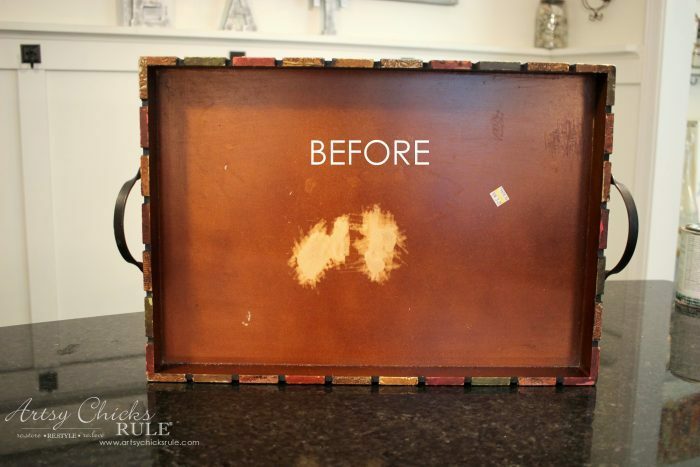 See you all next week with a fun NEW repurpose! 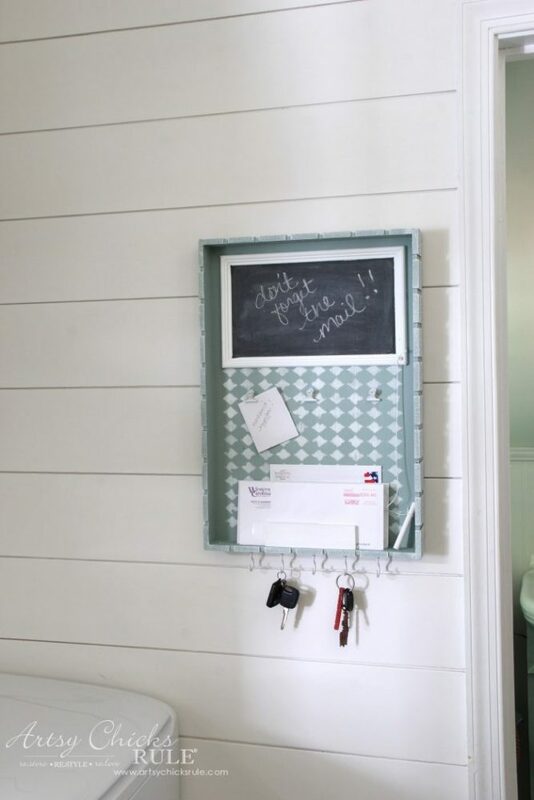 Your tray turned chalkboard/messageboard looks great. I love that light green paint and the dry-brushing on the sides looks fantastic! 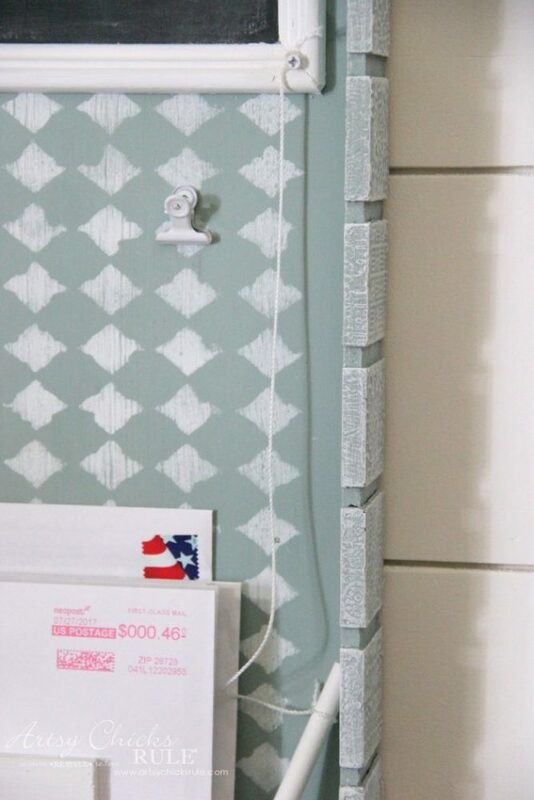 That is a cute, up-dated repurposing job! What a great idea! 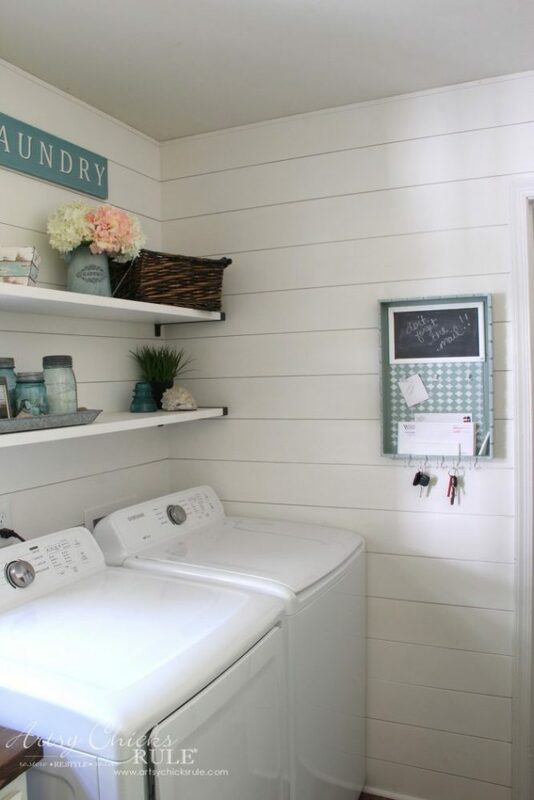 This looks great in your laundry room and is so useful. 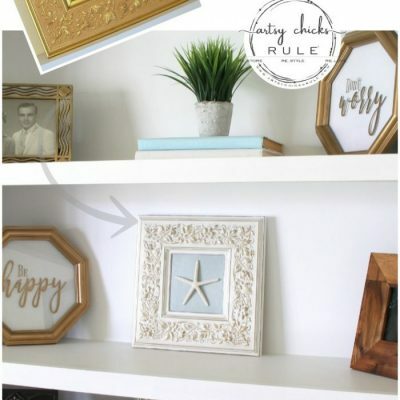 I usually love your projects but this time I would have wanted to keep the tray as a tray, mostly cuz I love the designed pieces on the frame of it. 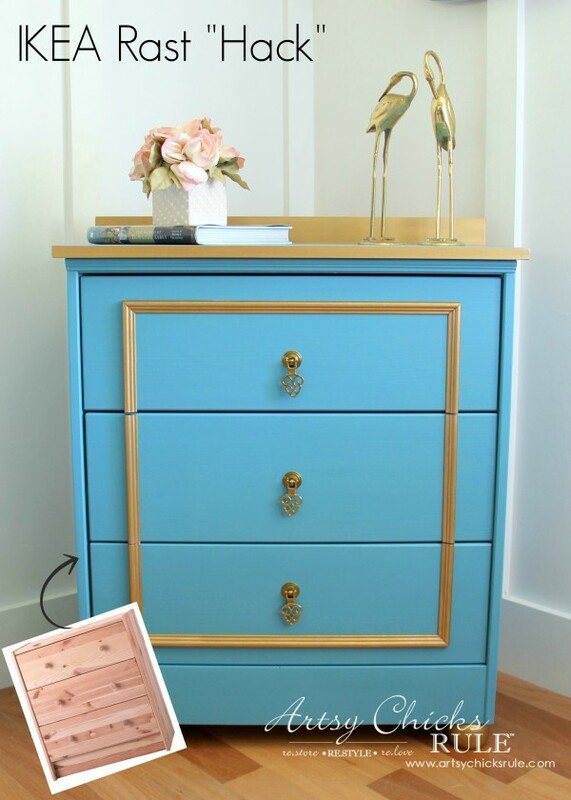 I may have painted it all a coppery color and put one of those cute metal pieces in it as have seen ones with patterns. 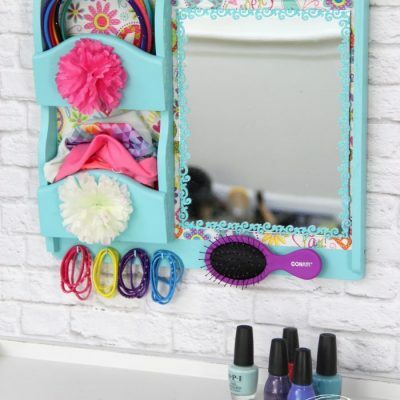 I just never have a need for that organizer. How fun and I love the color! Now THAT is adorable and perfect! You are so good! Thanks for the inspiration. 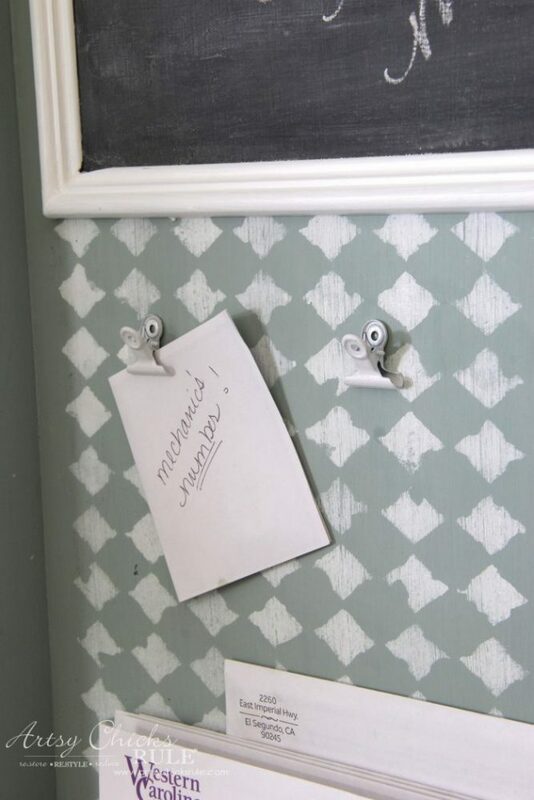 Question, do you know if you can use other chalk paint as actual chalkboard? Does it erase well? I love this little project. The details on the side of that tray just really make it happen. What a cute project. Way to go girlfriend!